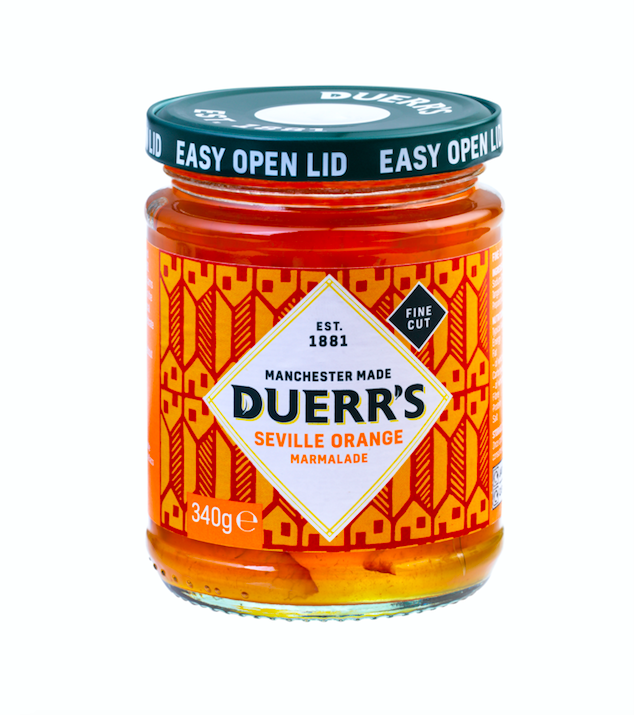 Our Thick Cut Seville Orange Marmalade packs a real punch, with juicy chunks of orange peel creating a tangy, bitter flavour for true marmalade lovers. Manchester born Greg Meade is the artist behind the label. 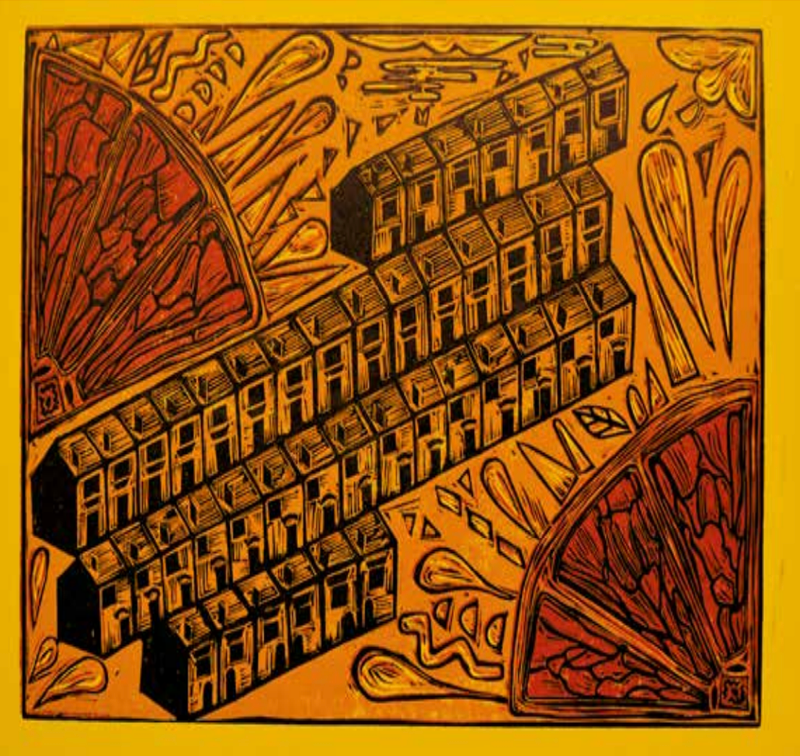 He finds influence in the rich industrial heritage of the city to create abstract architectural motifs using linocut. 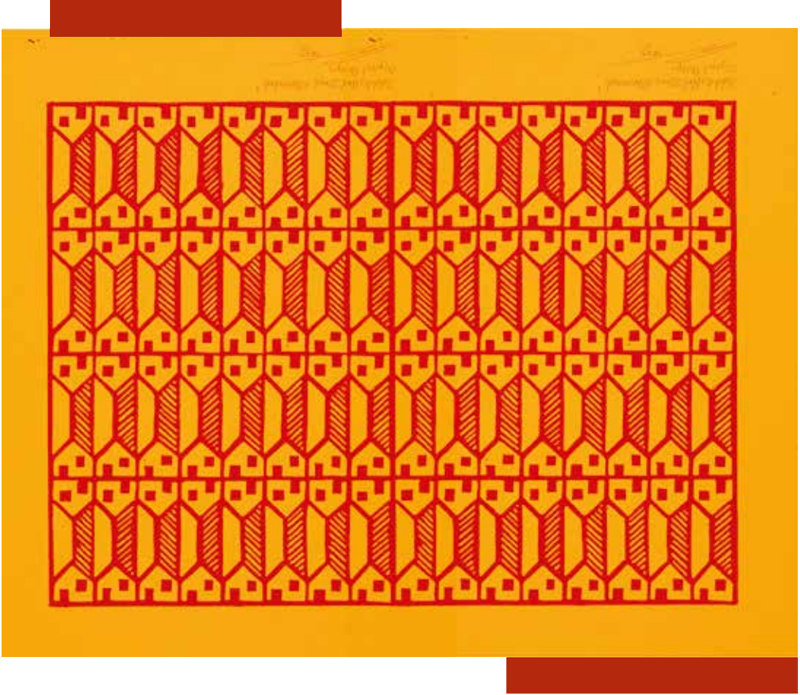 Greg’s design features motifs from Duerr’s former factory inside rich Seville oranges, with drops of orange representing the beaming sunshine. 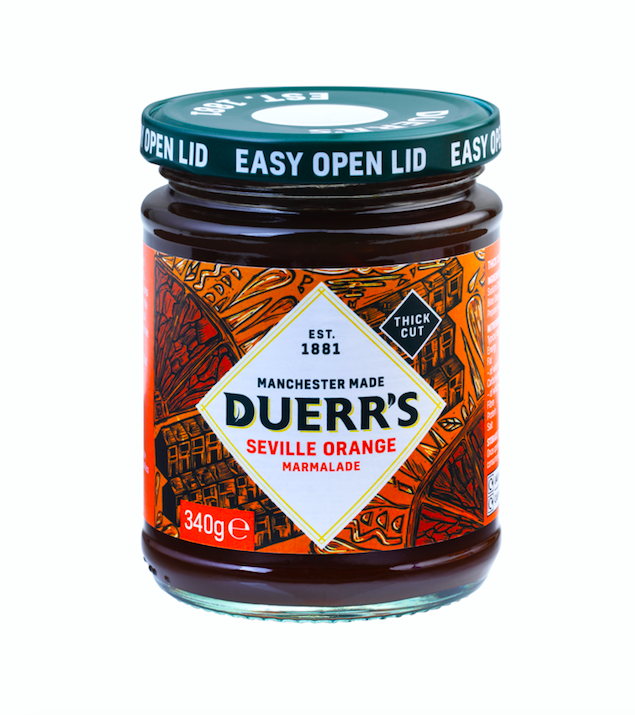 Our Fine Cut Seville Orange Marmalade has a softer flavour and texture for those who like their marmalade orangey, but not too orangey. Greg’s inspiration for this label design came from the geometric structures found within simple objects such as the formulaic patterns found in nature.